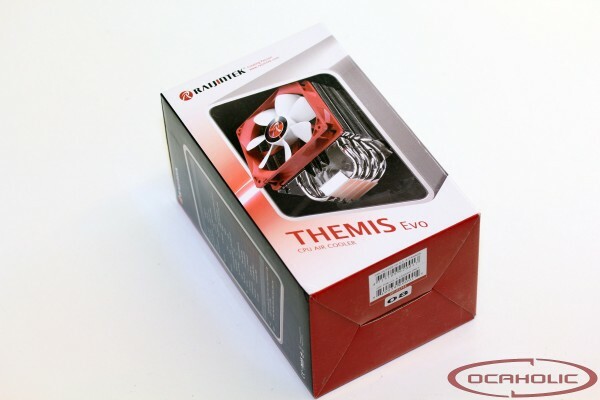 If we had to define the type of cooler the Themis EVO is, then we would say it is a single tower cooler. This type of cooler comes with the advantage that manufacturers can realise a huge cooling area. The disadvantage over down-draft coolers is that no air is directed towards the motherboard directly, therefore none of the onboard components receive direct cooling. Raijintek makes their Themis EVO from aluminium and copper. Wehen it comes to the heatpipes, they establish direct contact with the CPU. Other than that there is a total of four heatpipes, which each have a diameter of eight millimeter. Furthermore the 54 fins have been soldered to the heatpipes. We could not find any manufacturing mistakes on our sample, and the Themis EVO has been well made, which means that manufacturing quality is on an reasonably good level. Since Raijintek really optimized this cooler towards an aggressive price point, the fins are very thin and if you strike over them you hear a slight rattling noise. The heatpipes are parallel to one another, which make the air travel evenly through the fins. 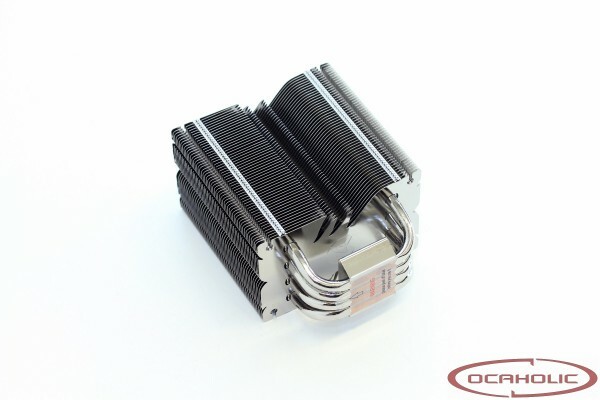 Furthermore this cooler comes with a total of 54 fins, which have been connected to one another for additional stiffens. The Themis EVO ships well protected, that none of the parts included will be damaged during transportation. Raijintek includes not only an Intel but also an AMD mounting kit. Therefore the cooler is compatible with both worlds right out of the box. Raijintek also equips this cooler with one of their own fans. The fan in the delivery which measures 120 x 120 x 25 millimeter.